Arvato Systems Broadcast Solutions Team Brings New Modules, New Features & New Functionality to NAB 2016 | Arvato Systems | IT Strategy. Solutions. Innovation. NY, April 13, 2016	(Newswire.com) - Improved Software Boosts Productivity for Broadcasters & Media Companies. With a product portfolio that covers all bases, from MAM to media analytics; from maximizing video server potential to monetizing the ad inventory, arvato Systems offers best-in-class solutions for broadcasters and media companies. At NAB this year, an array of upgrades and new modules show arvato Systems helping customers to achieve their goals and stay on top. EditMate proxy: LoRes streaming and HiRes finishing for editing anything, anywhere. 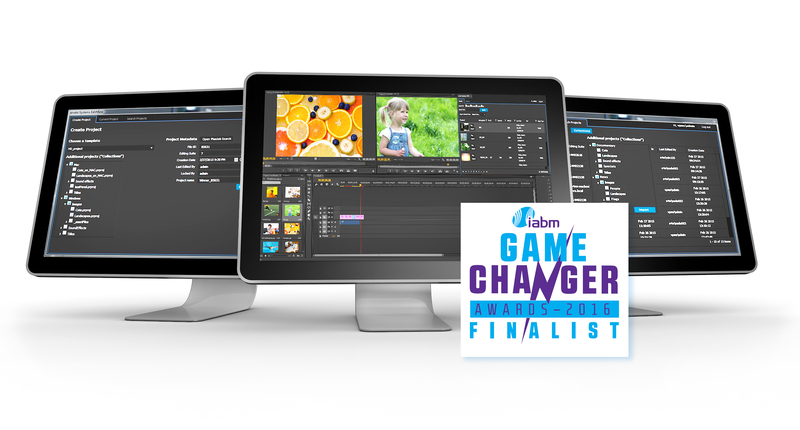 Nominated for the IABM 2016 Game Changer award, the IBC Best in Show 2015 winner takes location-independent editing with Adobe® Premiere® Pro CC to the next level. With enhanced project management, collaborative editing and project-based media management, arvato Systems’ EditMate has changed the way content producers think about working with editing projects. EditMate manages project-related assets and metadata, as well as templates, preset definitions and centrally stored project files for shared access. All user operations are performed via user-friendly panels within Adobe® Premiere® Pro CC. This year arvato Systems adds EditMate proxy to the product family. With EditMate proxy, Adobe® Premiere® Pro CC editing operations are processed as if the user is working directly on the HiRes material. Finished timelines are rendered in a single step with the HiRes clips on a central storage. With the latest release packed with innovations, EditMate has come of age. MAM functionality in the stand-alone version will be released at NAB and means that the fast, cost-effective system is now a true Production Asset Management system for Adobe® Premiere® Pro CC. The new VPMS EventLogger software enables rapid logging and keyword tagging of live events. The VPMS Review & Approval app makes it possible to add comments and mark up material on mobile devices while the material is available in VPMS. Log sheets and events are stored as VPMS data, so searching and using sport event data can be built easily into workflows. The HiRes Player makes it easy for journalists to review, edit and log material while they are still in the field. Information from the standalone application is uploaded together with the video into VPMS or exported as XML/Excel. With deep integration to MAM workflows, the VPMS Review & Approval module provides the benefits of a public sharing platform combined with the security of a private cloud environment. Clips can be pushed to the Cloud for sharing, review and comments. Timecode annotations, tags, and approval actions can be used to trigger VPMS workflows. At last, the Cloud is a part of everyday working life. The Avatega Rights Management solution includes Intellectual Property Management with business support for the content life cycle from content acquisition to cross-platform distribution. With Avatega now available for Microsoft Azure, customers have the flexibility to make the choice of where, when, and how they manage linear and non-linear platforms. Instead of investing in infrastructure, platforms and applications, the “pay as you go” model means customers only consume – and pay for – the computing resources they need. To reach target audiences at the right time and in the right place, advertisers must work in parallel across multiple platforms. arvato Systems’ award-winning product AdStore, brings media together into a single cross-media ad sales platform and makes it easy to view and manage, no matter where the inventory is located. Now integrated with Salesforce, AdStore is able to provide complete alignment of campaign and sales processes. Salesforce and AdStore information, including campaigns, ad inventory, products, prices, delivery status and more, is now available from a single, unified interface. Campaign execution and opportunity management finally work together. arvato Systems’ ad optimization engine, S4AdOpt, ensures the best possible positioning of advertising spots. A variable range of parameters lets broadcasters perform simulations to analyze various optimization scenarios in advance. The S4AdOpt automation and optimization spot placement tool continues to evolve with smart algorithms to reveal and exploit revenue opportunities that would otherwise be hidden. Arriving soon - programmatic advertising and Cloud! Visitors will find the arvato Systems team together with its partner Annova and four new show partners; make.tv, plantri, HMS and joiz, at NAB 2016 in Las Vegas (April 16 – 21) at Booth SU5515. More information online at www.it.arvato.com/nab2016.